If you’re self employed and need a car loan North Brisbane – speak to Auto Credit today or apply online now! We’ve helped thousands of happy clients – and can help you with approvals for good credit, bad credit, no deposit, unpaid defaults, self employed and contractor. Even if you’re starting a new business and have been told you can’t apply for a car loan for two years – talk to us! Below we share how we helped a North Brisbane business owner despite having past credit issues. One of our satisfied clients runs a mobile dog cleaning business on Brisbane’s northside. Peter had a bad credit history and discharged bankruptcy against his name. 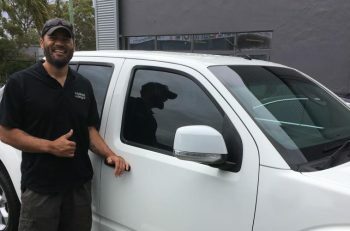 But Auto Credit Now was still able to help him secure a loan as a relatively new ABN Holder – and even sourced a late model, pre-inspected Mazda BT50 Dual Cab 4×4. Peter is now rebuilding his credit rating! 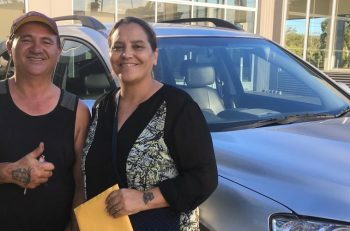 No matter where you live in Queensland (or Australia), we can help get you back on the road and help you secure both finance and a great vehicle that ticks all your boxes. Ask us about our extensive range of SUVs, 4x4s and work utes – all late model, pre-inspected vehicles from our exclusive dealer warehouse. We’re people helping people. Contact Auto Credit Now for fast, friendly service that you won’t find anywhere else. Call us on 0736079369 or Apply Online Here. Need a car loan for personal or business use? Have an ABN number but no trading figures? We can help with bad credit, good credit, no deposit, unpaid defaults, self-employed or contractor loans and more! Offering fast, speedy and friendly service, we can manage your car loan application from start to finish and help you get behind the wheel of a late model, quality pre-inspected vehicle from our exclusive dealer warehouse. Ask us about our range of high-quality work utes, 4x4s, SUVs and more – available to drive away today! Contact Auto Credit Now to start your application today. People helping people.